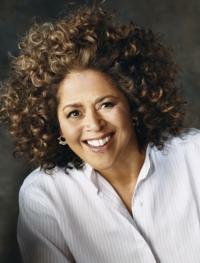 Philadelphia Theatre Company will host a residency for Anna Deavere Smith leading to the creation of [a] new work, The Pipeline Project, thanks to a generous gift from the John S. and James L. Knight Foundation…. The Pipeline Project will address the increasing numbers of American youngsters – especially African-American males – being “shuttled” from school into the criminal justice system. During her 2013-2015 residency at PTC, Smith will use elements of the theatre process that she has refined over the past three decades to create a compelling theatre piece that is also an opportunity to spark city-wide dialogue and public engagement about our education system and our civic responsibilities to children. Emphasis mine. My initial response: Extremely ambitious, but intriguing. I get nervous when people talk about things like “the cause of increasing awareness,” in part because I’m not at all sure that the problem of young people and incarceration is one of awareness. “Create new audiences” also sounds pretty ambitious. If I’m reading it right, the focus is on getting people who haven’t attended PTC’s productions in the past to attend them. Not totally clear what the mechanism for that would be, except that human beings in general like to see their stories represented. Maybe ADS’s new story (play) will bring in some people who traditionally have felt under-represented in American theater. Unfortunately, when I saw the full production of the latter a year later, it had become disturbingly celebrity-focused and seemed to be staggering under the weight of Trying to Say Something About the American Healthcare System. I sincerely hope this new production is let alone by its funders/minders — so that ADS can do what she does best, eliciting and dramatizing extraordinary stories.